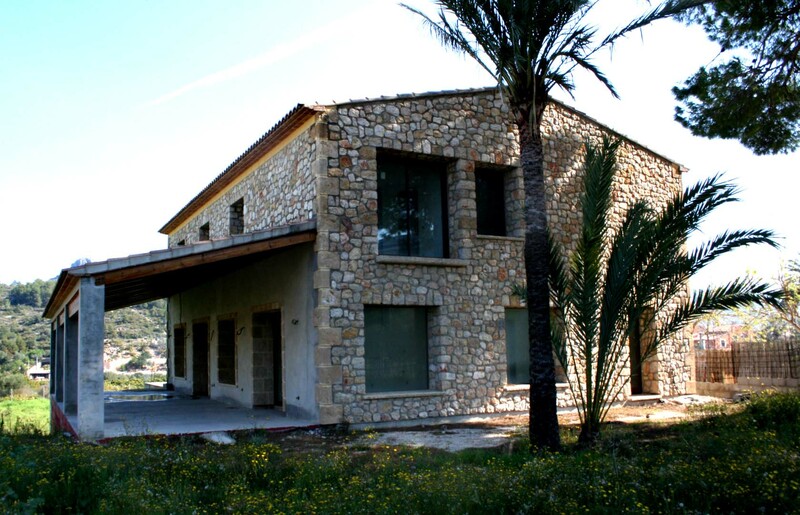 4 bed apartment for sale in the town center of Pedreguer. This apartment is very spacious consisting of 4 double bedrooms, 2 bathrooms, fitted kitched with large outside wash room, spacious living/dinning area. Would make a great property for all year living, you have banks ,shops, restaurants on your door step. There is also a double space in the underground parking available but not included in the price. Here you will find a nice 3 room apartment very bright and friendly. Through the entrance you enter the hallway to the left there is a bedroom and to the right a bathroom, from there you enter the living room, - dining room with open kitchen. Furthermore, there is a second bedroom with bathroom en-suite. To the apartment belongs a large garage with many storage facilities. Around the apartment is very nice and the proximity to the city center of Pedreguer is ideal.Sunny location in the town of Pedreguer which offers a very good infrastructure is about 800 meters. The distance to Denia and the beach is about 10 km.Solid construction with double-walled masonry, PVC windows, shutters, mosquito protection, heating, bathroom, fitted kitchen, built-in wardrobes, large garage.The property is in a top condition and can be viewed at short notice. 3 bed penthouse for sale in the centre of Pedreguer. This property consists of 3 double bedrooms, 2 bathrooms, large open plan kitchen and living room. It features 3 terraces around the property where you can enjoy mountain and sea views. Included in the price you also have underground parking and storage room. This penthouse would make an ideal home for all year round, based in the town centre walking distance to shops,bars and restaurants. It must be seen. Bargain 5 bed villa for sale in Monte Pedreguer with open views. The property is divided into two levels.The property is entered through a drive way leading you to the main level of the property, this level consists of a large living room, three double bedrooms two of them with en suite bathroom and fully equipped modern kitchen. On the lower level you find a separate apartment with two further bedrooms both with en suite bathrooms,opening on to the bottom terrace where you can enjoy the mountain and sea views. This property has been semi reformed during the past year. Its the perfect property for anyone with a large family or even so would make a great rental investment. Charming villa with fantastic, panoramic views of valleys, mountains and out towards the blue Mediterranean sea. Just a 15 minute drive to the sandy Denia beaches or towards the picturesque town of Javea, is this lovely 4 bedroom villa. The villa is split into 2 levels, both of which are self contained with their own kitchen. One of the biggest advantages is that even though the villa rests on the top of a mountain, thus the amazing views, one enters onto a level plot and both levels of the villa are reached via very few steps. The main living area features a cosy, round living room with wood beamed ceilings and log burner. Key feature is the dining room with open terrace. This has a glass wall which makes one feel like you´re sitting in the clouds. The views are just breathtaking. Also on this level are 2 double bedrooms, the master also has views towards the sea. There is a comfortable kitchen and a bathroom. Above, via external stairwell is a sun deck. The lower level enjoys a big open terrace with BBQ area for al-fresco dining as well as a covered terrace. Indoors is an open plan living/dining with a small kitchen. There are two double bedrooms and a bathroom. Outdoors, at the end of the driveway, there is a large garage which is currently used as a workshop. The large plot is on an incline but there is plenty of space to make an awesome infinity pool. There is also a large south facing terrace and an underbuild if one would wish to expand. Villa, Fitted Kitchen, Pool: Private, Garden: Private, Facing: South Views: Countryside, Mountains, Open. Features Air Conditioning Hot/Cold, Double Glazing, Excellent Condition, Quiet Location. Finca under construction situated close to the old town. The property is distibuted over 3 levels and comprises: garage for 3 cars, 3 rooms and 1 bathroom on the lower level. The main level consists of kitchen with utility area, lounge-diner, 1 bedroom with en-suite bathroom, storeroom and terrace. The top floor comprises 4 bedrooms, 2 with ens-suite bathrooms and 1 separate bathroom. Lovely open views. Space for a pool.